For some people, going anywhere for the first time can be a bit of a nerve-wracking experience. Yet we hope you will receive a warm welcome and quickly settle. To help avoid any worries, here's a quick summary of what you can expect at LCBC. We start our Sunday morning meeting at 10:30 am. All the children stay in for the first part of the service and we will tell you when it is time for them to leave for their sessions which are run in age-appropriate small groups. Find out more. We also run a crèche for babies and toddlers. Please feel free to make use of this at any point. Find out more. 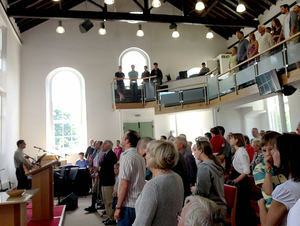 A typical service lasts an hour and a quarter and consists of news from the week, a child-friendly short talk, a time of praise and worship using a mix of the best traditional and contemporary songs, a talk from the Bible with a relevant message that speaks into modern life, as well as some time praying. If you are visiting you will not be asked to do anything you are uncomfortable with. Please ask if you are unsure about anything. We aim to make the service lively and engaging and ensure the time we spend together is honouring to God and encouraging for one another. Tea and coffee is served after the service and this is a great time to get to know one another better. There are regular evening services at 6.30 every Sunday. These are usually less formal and more time is given to sharing testimony, praying and focussing on training and equipping people to serve God in the week ahead. Please wear whatever you feel comfortable in! Will I understand what is going on as I’ve never been to church before? It can be daunting going to a new place where everyone is a stranger but please be assured of a warm welcome at LCBC. We aim to make the services open and engaging. 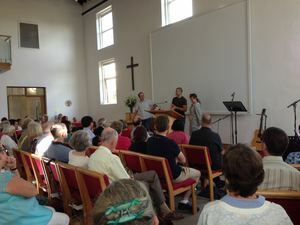 A typical service usually involves singing, some teaching from the Bible and a time of prayer. We believe the good news of Jesus is for everyone and so aim to make the teaching accessible and relevant to modern life and the issues we all face. What happens if I have noisy children? Please don’t feel embarrassed! 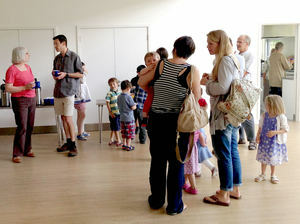 We are a church that loves to welcome children and their families. 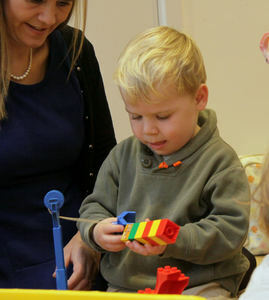 The church runs a crèche for the little ones every Sunday, as well as various activities and age-appropriate teaching for older children. These will be explained during the service so that you know what is happening and when the children can go to SClub and other groups. Please visit our How to find us page for full directions, satnav postcode and information about where to park. Do you have a question about the Christian faith? If you could ask God one question, what would it be? 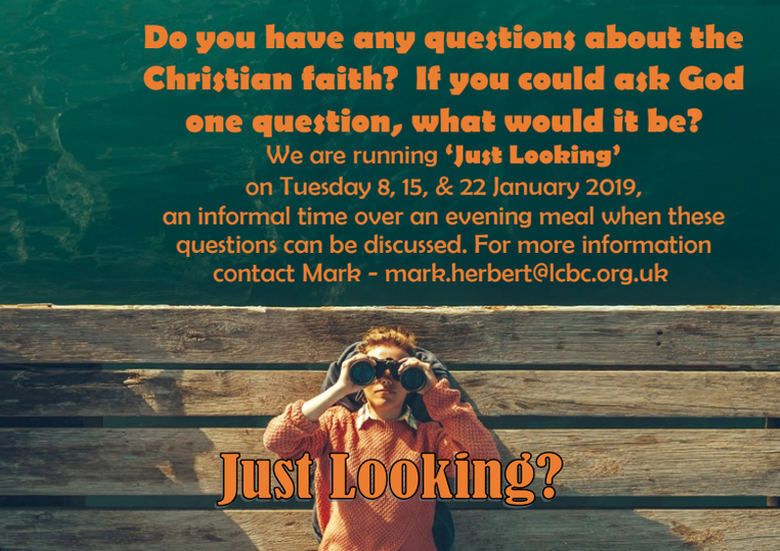 We are running 'Just Looking' on Tuesday 8th, 15th and 22nd January 2019, an informal meal when these questions can be discussed. For more information contact Mark. We run an Explore course twice a year to give people an opportunity to come and explore the Christian faith in a relaxed environment over some good food. The Explore course is normally run on a weekday evening from 8:00-9:30pm. In addition, for those who want to find out more about Christianity, our Investigating Christianity page has useful information, including What is the Gospel? and What is a Christian?, links, recommended Bible readings and helpful video material. Please visit our Accessibility page for full details of our disabled facilities.